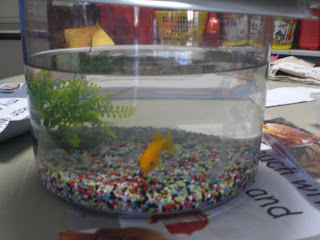 Mrs. Treacy's Senior Infant class: Fishy Fishy! Thomas brought his pet fish Nemo into class today. Thomas explained all about how he looks after Nemo. We drew pictures of Nemo in our copies. Thomas brought Nemo around to all the Junior and Senior Infant classes so they could see him. Thanks Thomas!